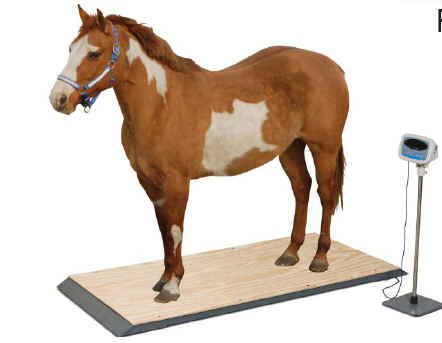 Accurate electronic weighing of larger animals. removes the guesswork for administration of feed and medicine. Full size platform for ease of use. The scale is large enough to avoid making animals skittish while weighing. Low profile to avoid high "step up". Hold function for single user weighing. Easy to use hold feature enables the scale to capture the weight and retain it while you tend to the animal. 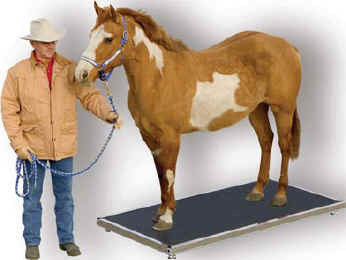 Protective matting for ease on animal hooves. Plywood on DS-3000. No hard steel surface to allow the animal to slip or damage their feet. Battery & AC operation for remote locations. Full function with no AC power attached. Detachable indicator for battery charging. Durable design for rigorous applications. This scale will provide years of use in even challenging environments.